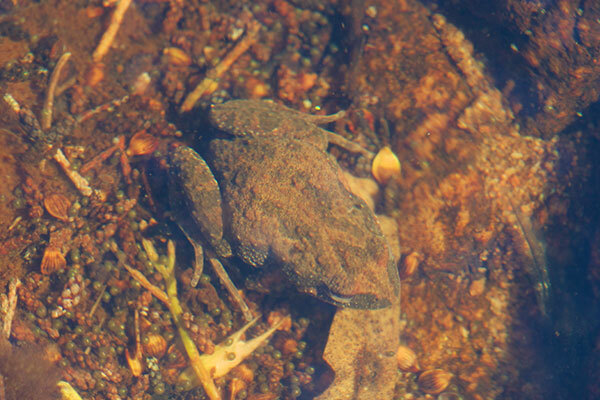 I found dozens of these little frogs at Telowie Creek lurking under wet stones at the creek edges. When I would lift a stone, frogs would instantly jump every which way, until they reached the water. 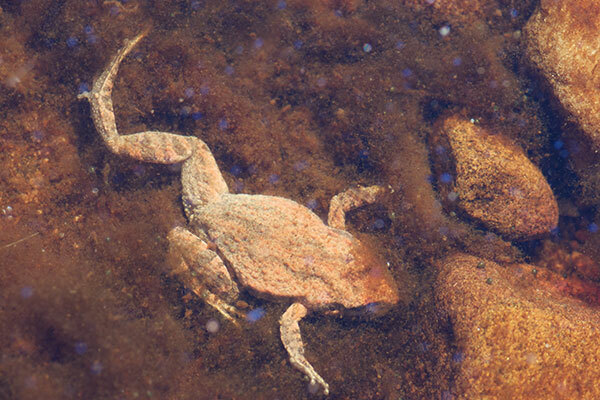 Once in the water, the frogs would usually dive straight down and look for some opaque muck to hide under. 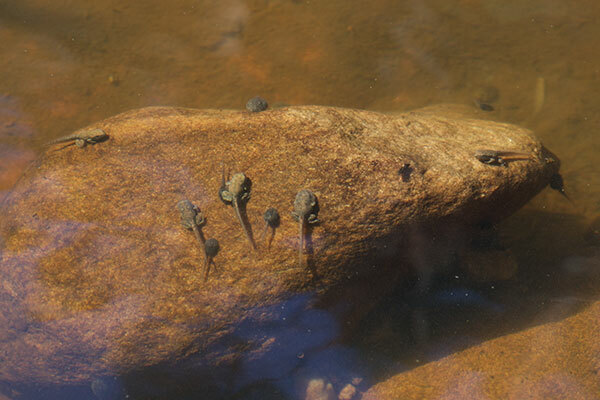 The water was also thick with tadpoles of all stages.